It was reported in the news in October of 2017, that a shameful woman preacher, a prominent Presbyterian pastor named Shannon Johnson Kershner, openly denied that Christianity is the only way to Heaven. It is wickedness!!! We are living in woeful perilous times of apostasy, when people do not fear God anymore, and just do whatever they want. Our text passage is clear from 1st Timothy 2:11-13 that women are not to preach to men, nor to hold positions of authority over men in the churches. I was reading some news today on the internet and came across a disturbing article on the Christian Post, where Miss Kershner says Christianity is not the only way to get to Heaven. That is blasphemy! Satan has crept into most churches today. I am shocked from day-to-day as I read about rock star pastors like Steven Furtick in North Carolina, who just built a personal 16,000 square-foot mansion for $1,600,000. It is evil to exploit God's work for personal gain! Truthfully, false prophetess Shannon Kershner of Fourth Presbyterian Church in Chicago, Illinois is of the Devil. She has no Biblical business being behind any pulpit. Tragically, the Presbyterian denomination has gone to Hell in America. In March of 2015 a sickening 20,562 Presbyterian ministers accepted homosexual marriages! Hey, here's an atheist Presbyterian minister! These are not Biblical New Testament churches, they are houses of Satan! The Word of God warned us, dear reader, that Satan would infiltrate and corrupt the churches with his own sinister ministers. 2nd Corinthians 11:13-15, “For such are false apostles, deceitful workers, transforming themselves into the apostles of Christ. And no marvel; for Satan himself is transformed into an angel of light. Therefore it is no great thing if his ministers also be transformed as the ministers of righteousness; whose end shall be according to their works.” Tragically, Shannon's fate will be according to her works of darkness, which she is trusting in, instead of God's righteousness through faith alone in Jesus Christ. What Miss Kershner is teaching is 100% against the Word of God! The inspired Word of God teaches that you either go through Jesus Christ, or you go to Hell to burn forever! Revelation 20:15, “And whosoever was not found written in the book of life was cast into the lake of fire.” We are living in woeful times of apostasy, when anybody can pay some money to attend a religious school, get a degree, and then enter into the clergy with no Biblical qualifications. The Gospel of John is God's Gospel tract. John 20:31, “But these are written, that ye might believe that Jesus is the Christ, the Son of God; and that believing ye might have life through his name.” John 6:28-29, “Then said they unto him, What shall we do, that we might work the works of God? Jesus answered and said unto them, This is the work of God, that ye believe on him whom he hath sent.” John 11:25-26, “Jesus said unto her, I am the resurrection, and the life: he that believeth in me, though he were dead, yet shall he live: And whosoever liveth and believeth in me shall never die. Believest thou this?” Where in the world does Miss Kershner get the Satanic idea that Christianity is not the only way to Heaven? I'll tell you where, from the Devil! Anyone who says that Christianity is not the only way to Heaven has been inspired by demons! And by “Christianity,” I mean having childlike faith in the “Good News” (Gospel) of Jesus Christ crucified on the cross for our sins, who DIED, was BURIED, and miraculously physically RESURRECTED from the dead three days later for our justification (1st Corinthians 15:1-6). Faith alone in the Gospel of the Lord Jesus Christ is the ONLY way of salvation. As you just read, Satan deliberately blinds unsaved people from seeing the truth of the Good News of Jesus crucified, buried and risen. 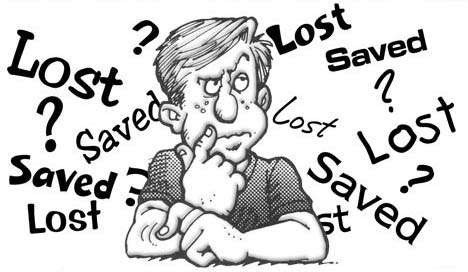 Oh sure, unsaved people know that Jesus died on the cross; but they don't understand that salvation is a gift, which does not permit works. Every hellbound Roman Catholic believes that Christ died on the cross for their sins, but the Devil has blinded them with Catholicism. Catholics have been deceived by the Devil to trust in the Seven Sacraments, the priest, the Eucharist, the confessional booth, works, et cetera. Like the false prophets in Matthew 7:21-23, who cried out “Lord, Lord,” they will be rejected and denied entrance into Heaven in eternity. Sad but true, unless she repents toward God of her unbelief, Shannon Kershner won't be allowed into Heaven. She speaks of Christianity as being a cultural tradition that one enters into as a “relationship” with God, instead of being a “new birth” as the Bible teaches! Jesus said in John 3:3-5, “Jesus answered and said unto him, Verily, verily, I say unto thee, Except a man be born again, he cannot see the kingdom of God. Nicodemus saith unto him, How can a man be born when he is old? can he enter the second time into his mother's womb, and be born? Jesus answered, Verily, verily, I say unto thee, Except a man be born of water and of the Spirit, he cannot enter into the kingdom of God.” You're either born-again and a child of God, or you've never been born anew and are still a child of the Devil. I say that kindly, but honestly, and Biblically. Mormons, Jehovah's Witnesses and Seventh Day Adventists are going to Hell. The reason why is because all of the aforementioned groups either deny Christ completely, or else they add works to grace which cancels it. No one has ever been saved by partial faith in Christ plus something else. If you get water baptized “just in case,” adding that to your faith, then you have never been born-again and still hellbound in your sins without Christ. The ONLY way to be saved is by submitting, that is, completely resting, in God's righteousness, by placing your trust in Christ who became the sacrifice for your sins (and mine) on the cross. Philippians 3:9, “And be found in him, not having mine own righteousness, which is of the law, but that which is through the faith of Christ, the righteousness which is of God by faith.” We are saved through the imputed righteousness of God through faith in Christ Jesus!!! The only way to be saved is to submit to God's righteousness, through faith in Jesus Christ. Romans 10:3-4, “For they being ignorant of God's righteousness, and going about to establish their own righteousness, have not submitted themselves unto the righteousness of God. For Christ is the end of the law for righteousness to every one that believeth.” You cannot save yourself! I know that Shannon Kershner is not really saved, because no true Christian would ever sanction other pagan religions outside of the Christian faith. Over one billion Muslims are going to Hell, because they deny Christ altogether. Jews who deny Jesus as the Messiah are going straight to Hell to burn forever! YE MUST BE BORN AGAIN!!! It is not my place to decide who is saved or unsaved, but the Word of God is very plain that Jesus is “the way, the truth, and the life: no man cometh unto the Father,” but by Him (John 14:6). So I CAN boldly say that anyone, of any particular religious faith, or any particular pastor, or so-called “church,” who denies that Jesus is the ONLY WAY to Heaven, is not saved and is hellbound in their sins (John 8:24). I can say that on the authority of the Holy Scriptures! I plead with you dear reader not to lean upon your own human understanding, but wholly lean on Jesus' name!